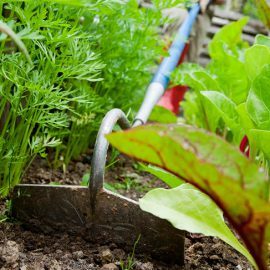 Get on top of garden weeds fast this season, before they take over the whole garden. It only takes a little maintenance to do this, and is far easier than the alternative, dealing with a weed infestation! Here’s our step by step guide to winning the war on weeds. Hoe off weed seedlings on a warm dry day. Hoe carefully around existing plants and allow the hoe blade to scrape the surface rather than gouge a trench. Leave the dismembered weeds adrift on the soil surface for the sun to frazzle them and they will break down into the soil. If the soil is still damp there is a chance that some will re-sprout or re-root. Repeat this step every 7-10 days to remove all new seedling growth. Spray perennial weeds with Resolva . All Resolva forumulations are systemic meaning they will kill the weed right down to the root. Once dead, carefully dig out the weed by hand using a weeding tool. Be sure to remove all the root structure and leave out to dry on a sunny surface to dry out. It’s best to burn weeds, but if you can’t do this, add them to your green waste bin*. **Follow extra precautions when disposing of tough weeds such as Japanese Knotweed. Sometimes weeds get into awkward spots where it’s hard to get them out. Grasses or dandelions in between paving or on a gravel path are a common problem in gardens. For these areas use, Resolva Path and Patio Weedkiller which is specially formulated for those hard to reach spots. 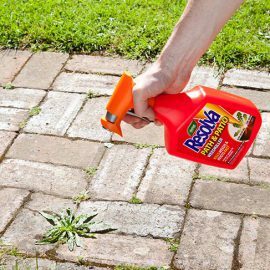 It kills the weed down to the root and doesn’t cause any nasty staining on your patio or driveway. Apply to moist soil and the bark will block the sunlight preventing new seedlings from germinating and present wind borne seeds from growing. 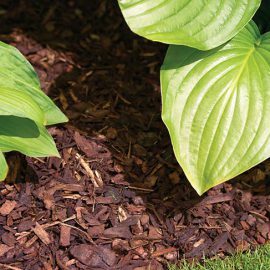 A thick mulch of 2-3 inches will also conserve soil moisture.